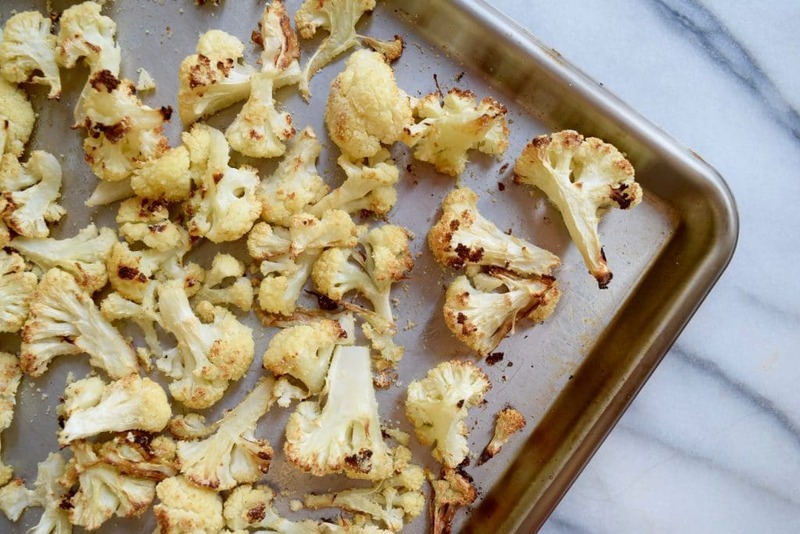 The easiest, most delicious recipe for roasted cauliflower. The secret ingredient in this roasted cauliflower makes it simply irresistible. I know some people may think I’m crazy, but honestly, vegetables are my favorite food group. Beyond their benefits, I truly love how they taste. But, it wasn’t always that way. I can remember shunning my aunt’s sliced baked eggplant (eww…just never had a thing for it), and my mom’s overcooked broccoli boiled to the near point of disintegration (double eww). Having personally went from a vegetable hater (I hardly ate any up until the age of 18), to a vegetable lover, I know the key is preparing and cooking the veggies right! It makes a world of difference. So, this simple roasted cauliflower recipe makes use of three factors to make it crave-able: Temperature, time, and almond flour! Yes, almond flour adds a bit of texture and fat, which when combined with pink salt, makes it taste almost like Parmesan cheese. While it does take a longer time to roast cauliflower compared to other veggies, the prep time (meaning the time you need to be in the kitchen) is minimal. Lay out cauliflower on a large baking sheet. Drizzle with olive oil and season with salt and pepper. Use your hands to toss and coat all of the pieces well, then spread them out on the sheet. Roast for 35-40 minutes, tossing halfway through. They should be soft and just starting to brown. Remove from the oven, sprinkle generously with the almond flour and use tongs or utensils to toss to coat. Return to the oven for 10 minutes longer. To serve, taste and add additional salt and pepper as needed.